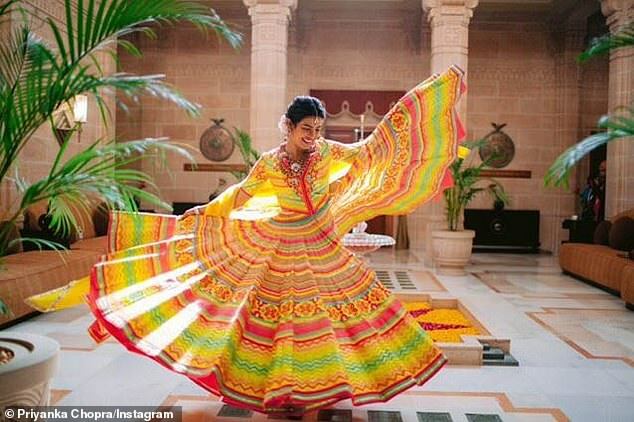 Gisele Bündchen, Michael B. Jordan, Sofía Vergara and more commented on Priyanka Chopra and Nick Jonas’ three-day Indian nuptials after the bride and groom posted the first snaps Saturday. 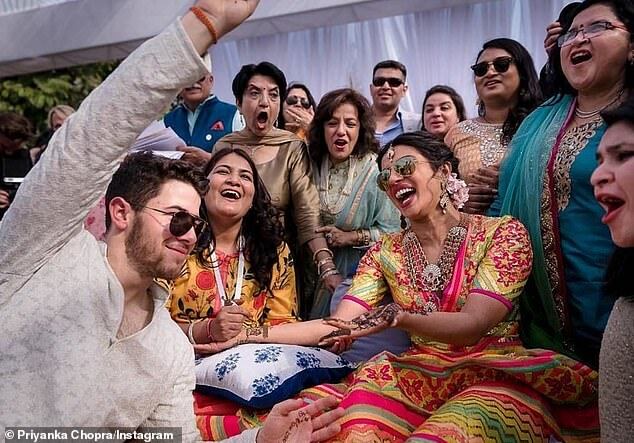 The images were from the Mehendi festivities when the Jamshedpur-born 36-year-old and the Texas-born, New Jersey-raised 26-year-old had their hands painted with henna in the afternoon. 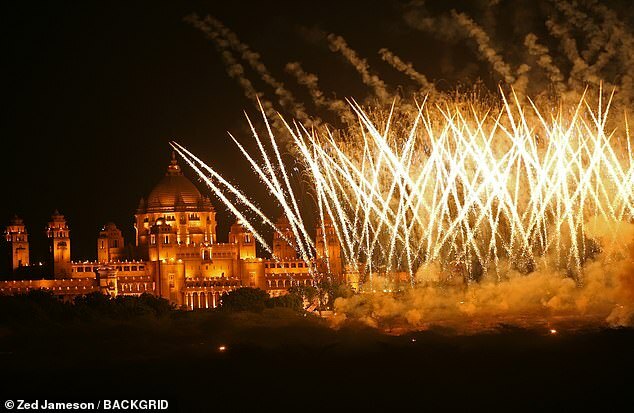 By nightfall, the former boybander’s Assemblies of God minister father Paul officiated the Western ceremony for the Ralph Lauren-clad couple at Umaid Bhawan Palace in Jodhpur where fireworks were set off. 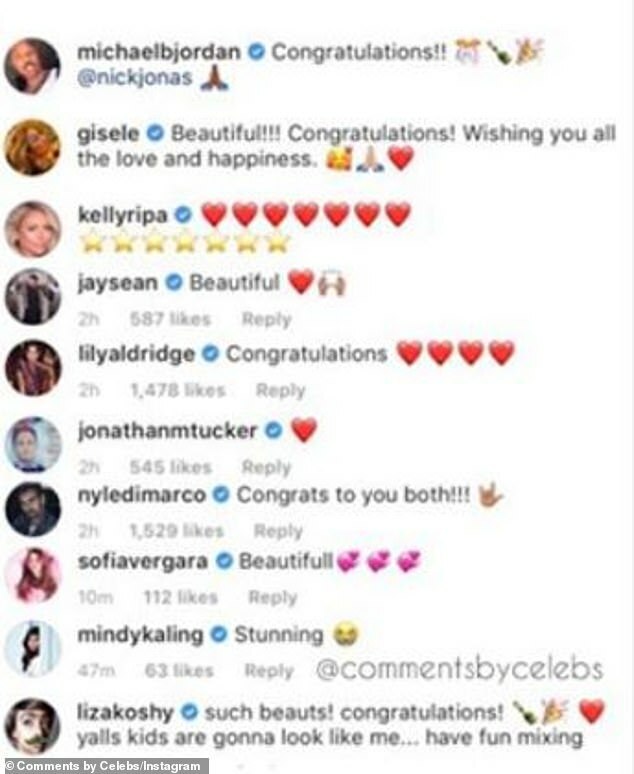 Other celeb pals with happy tidings for the newlyweds included Kelly Ripa, Jay Sean, Lily Aldridge, Jonathan Tucker, Nyle DiMarco, Mindy Kaling, Liza Koshy, Julianne Hough, Lilly Singh, and Abhishek Bachchan. 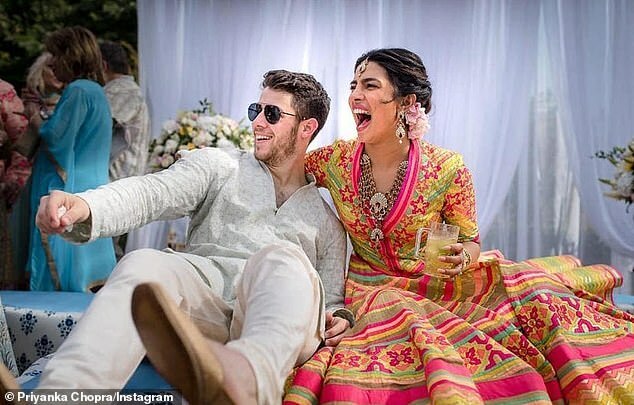 Nick and Priyanka – who got engaged on July 18 – will tie the knot, yet again, this Sunday with a traditional Hindu ceremony to honor her heritage. ‘In 10 years, I definitely want to have kids,’ Chopra told People in June. 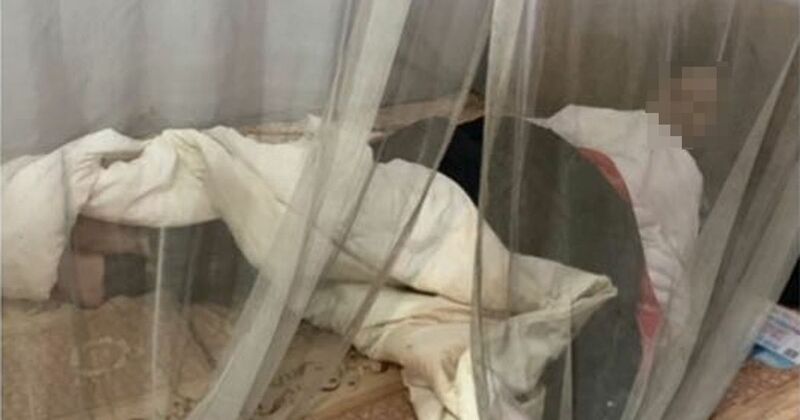 The globetrotting lovebirds originally met at an Academy Awards party in February 2017, but they didn’t start getting hot and heavy until the Met Gala in May. 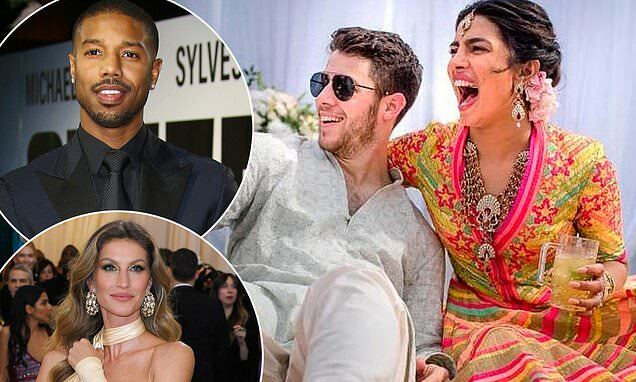 Their whirlwind romance came as a surprise to Jonas fans – who’ve watched him love and leave famous exes like Lily Collins, Kate Hudson, Olivia Culpo, Selena Gomez, and Miley Cyrus. 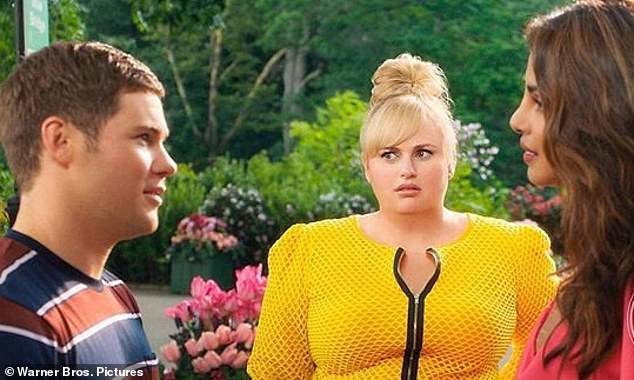 Career-wise, the former Quantico stunner will next play Adam Devine’s love interst Isabella in Todd Strauss-Schulson’s concussion rom-com Isn’t It Romantic, which hits US/UK theaters February 14. 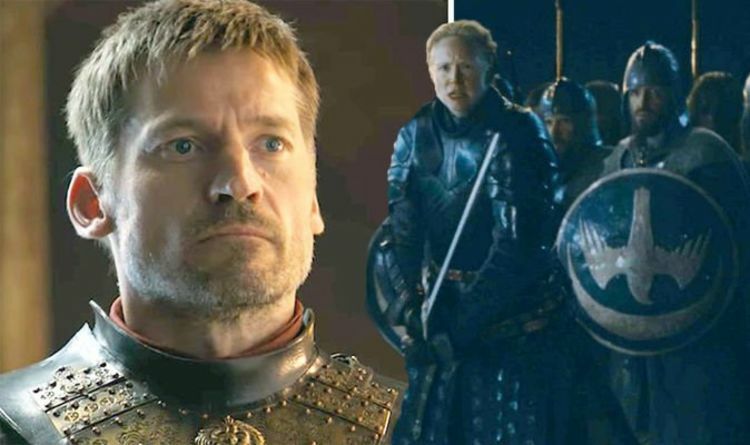 And the Golden Globe nominee next plays the Mayor’s soldier son Davy Prentiss Jr. in Doug Liman’s dystopian flick Chaos Walking – hitting US/UK theaters March 1 – with Tom Holland and Daisy Ridley.